The Learning Factory is the hands-on prototyping and design laboratory for the College of Engineering. It provides students with modern tools for prototyping, manufacturing, and training in their safe usage. All students in the College, with appropriate training, are eligible to use the facility. Safety training completed in the Learning Factory is valid only for work in the Learning Factory. Periodic training courses for students wishing to use the Learning Factory facilities are provided throughout the semester. The days and times of these courses will be posted at the Learning Factory, sent directly to course instructors, and the design studio. Each offering will have a sign-up sheet located in the shop. Students wishing to take a course must sign up in person and attend their selected session and have successfully completed the online safety quiz. Each student wishing to use the manufacturing shop must have a certification card authorizing his or her use of equipment. This certification is obtained after attending free training sessions. To obtain safety certification, a student must meet with a Learning Factory representative to receive instruction on the above-mentioned items. Having completed this instruction, a student must then sign a Learning Factory Safety Regulations form and return it to a Learning Factory representative. Power tool certification requires that the student have knowledge of the safe operation of hand-held power tools. To obtain power tool certification, a student must meet with a Learning Factory representative to receive instruction on these items. Once a student receives certification s/he will be permitted to use hand-held power tools within the shop. Note that power tools may not be operated without the presence of a Learning Factory representative in the shop area. 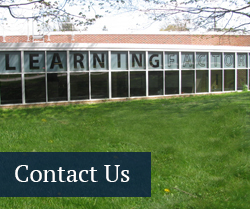 Machining resources within the Learning Factory include the manual mills, lathes, drill press, band saw, belt sander, pedestal grinder, hydraulic press, and cut-off saw. Machining certification requires that a student have knowledge of the safe and effective operation of these units. To obtain Machining I certification, a student must complete a Learning Factory machining course and demonstrate proficiency to a Learning Factory representative. 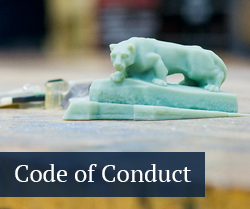 Having received certification, a student will be permitted to use the machining resources. Also note that machining resources may not be operated without the presence of a Learning Factory representative in the shop area. Welding resources within the shop include MIG welder and TIG welder. Welding certification requires that a student have completed Machining training and have knowledge of the safe and effective operation of these units. To obtain Welding certification, a student must complete a Learning Factory welding course. Having received certification, a student will be permitted to use the welding resources. Note that welding resources may not be operated without the presence of a Learning Factory representative in the shop area.